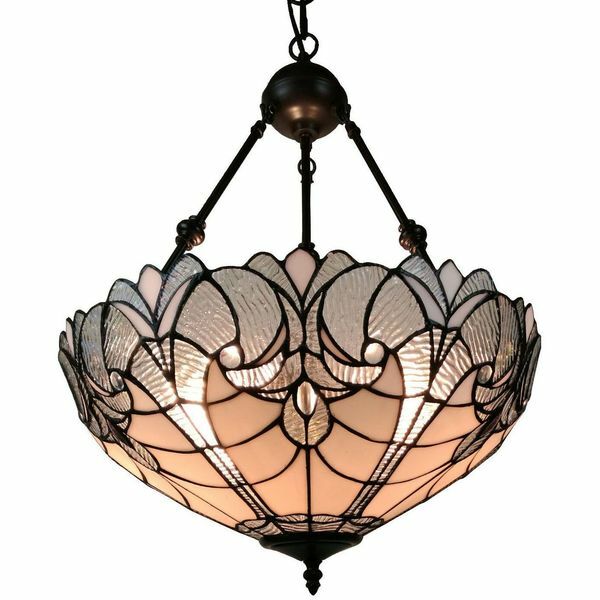 The subtle floral design of the traditional Amora Lighting Tiffany Style Hanging Pendant Chandelier makes the perfect addition to any dining room or entryway. The fixture features a bowl-shaped shade with light brown and clear designs that deliver a pleasant, warm light. The chain is long and sturdy for hanging anywhere in the home. 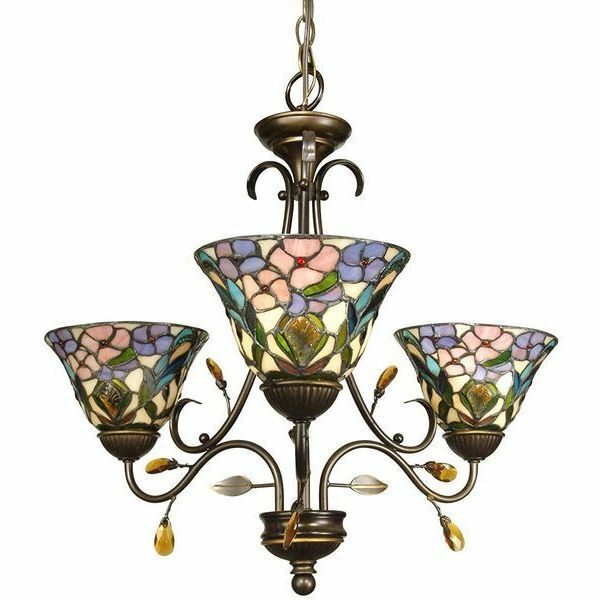 The Dale Tiffany Three Light Crystal Peony Chandelier with Antique Golden Sand and Art Glass Shade is another beautiful chandelier with stained glass designs. It has a beautiful antique looking golden sand finish that would look lovely in the living room centered over the carpet with some nice antique furniture to match it. This piece is also smaller in size at 24” x 22” it will not only make any room look better it will also make it look bigger. 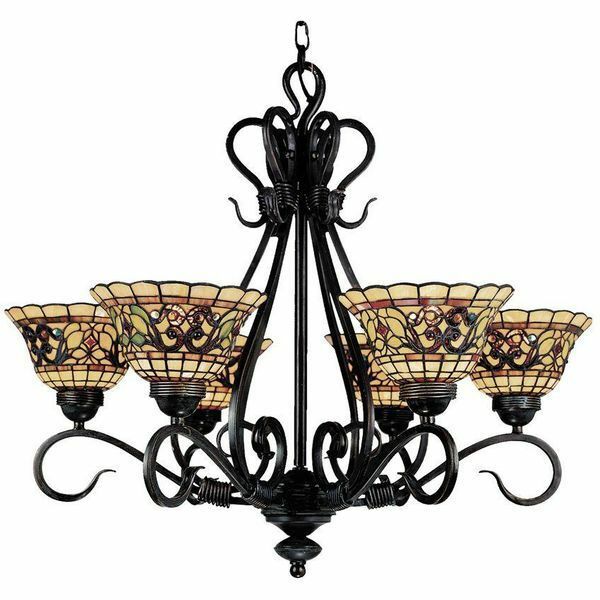 Turn your dining space into an elegant and traditional place to be with the Makenier Vintage Tiffany Style Stained Glass Chandelier. 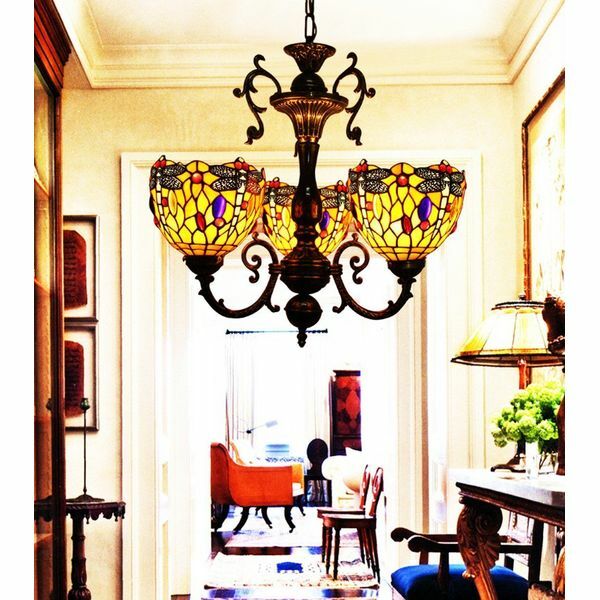 The chandelier has three different stained glass lampshades hanging from the base, with each colorful lampshade measuring seven inches in diameter that sends out an alluringly warm light. 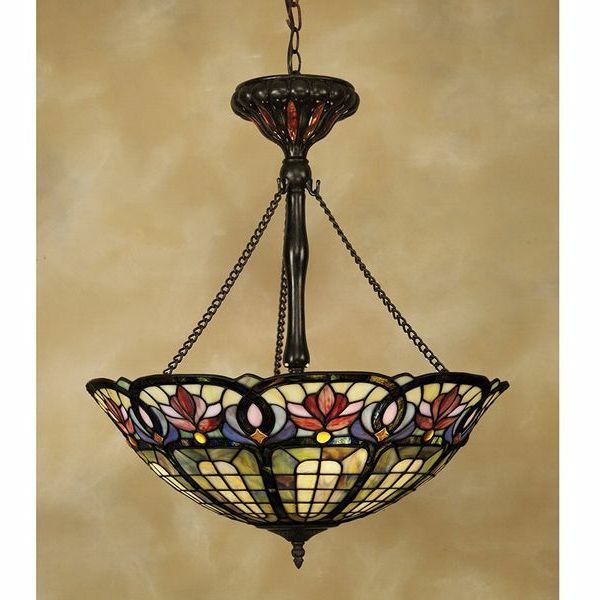 Enhance your tropical home with elegance that fits the theme when you install the Makernier Vintage Tiffany Style Stained Glass Parrots Chandelier. 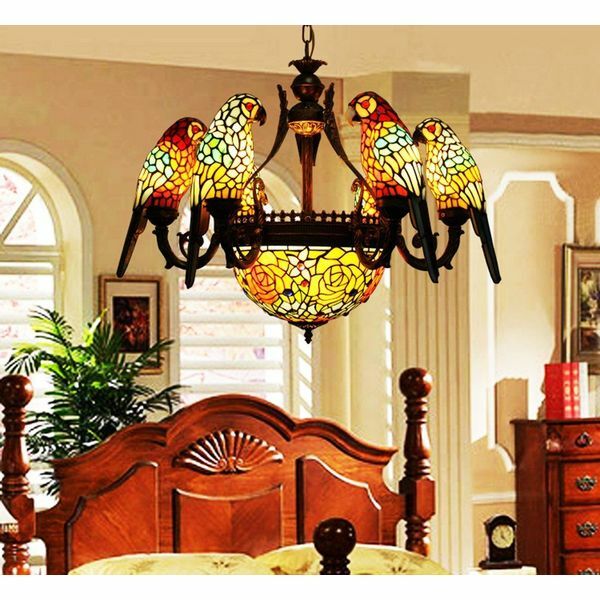 The lamp shade features stained glass parrots arranged facing toward a matching stained glass bowl, all of which sit atop a zinc alloy base with a bronze colored finish.